We’ve covered methods and rules to differentiate functions of the form y=f(x), where y is explicitly defined as a function of x (click here to review explicit differentiation). 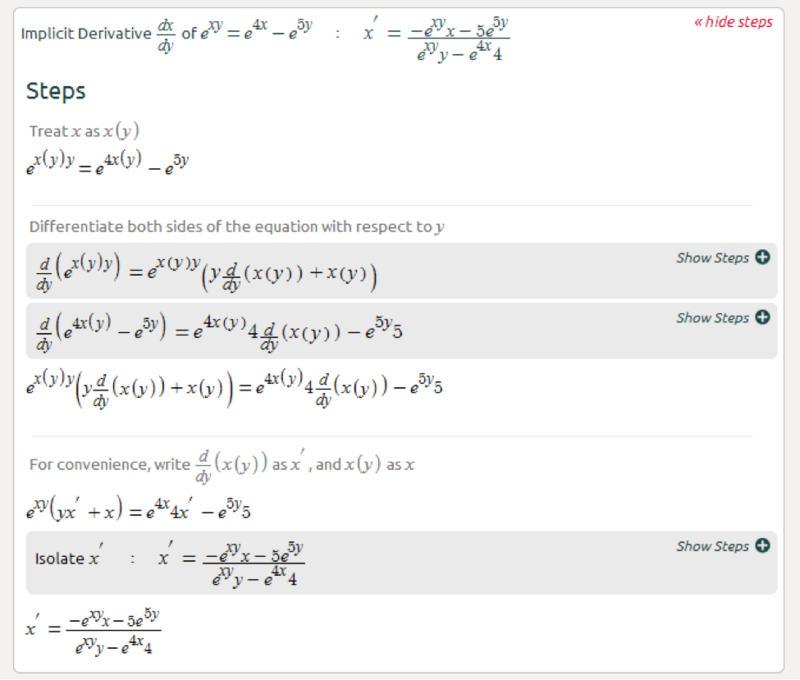 But what if we have to derive functions that are not set this way? If you can easily express y as a function of x, by all means do that first. 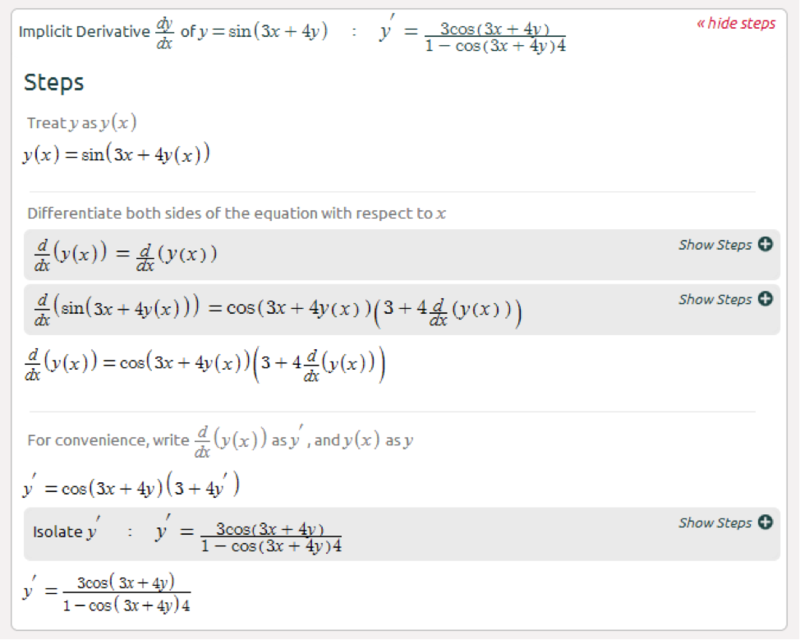 For example x²+y=1, isolate y as a function of x: y= (1-x²) and use the derivative rules. Let’s look at x²+y²=1, or y=sin(3x+4y), clearly isolating y is not trivial, this is where we’ll be using implicit differentiation; Derive the left hand side and the right hand side with respect to x, and isolate y’. 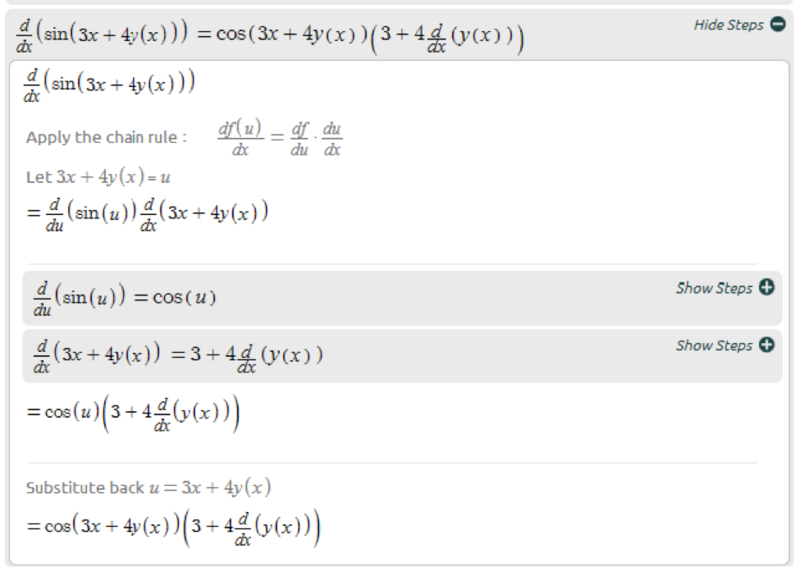 It is basically an application of the chain rule, just remember that y is not a constant, it is a function of x. Make sure to look here for some info on how to write good homework assignment. This kind of stuff could be really helpful. I loved the article, buy instagram account with 10k followers keep updating interesting articles. Tinder Apk is an online free dating service app that allows the user to find a quick match in their locality. The app is really a unique one and has created a buzz across the worldwide dating protocol. Nice Thanks For share This info!